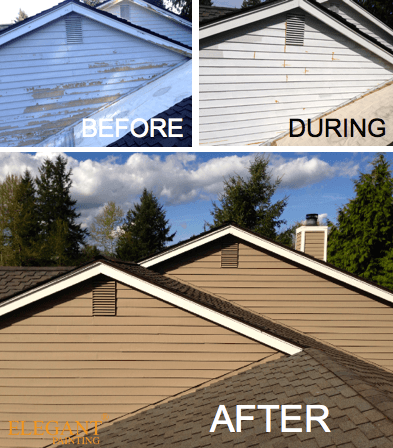 If you are a homeowner in the Puget sound area, you know that the south side of your home is more exposed to the elements than the rest of the structure. The south side remains in the shade longer, meaning moisture from humidity and due evaporate later in the day. The south side of the structure is also the side exposed to evening sun while the temperatures are the highest. We have developed a special treatment, unique to the south side of your home. 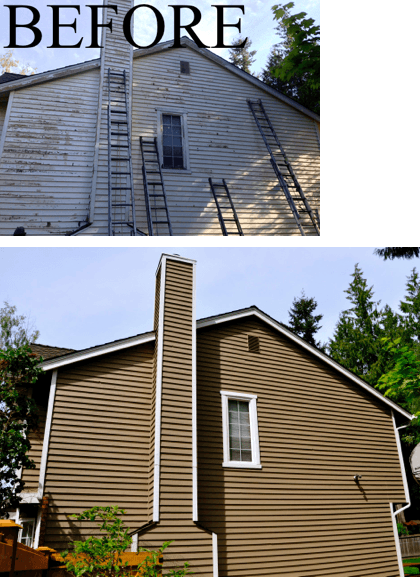 This process focuses on removing any existing failed coats, applying one solid coat of penetrating oil-based primer, and back-rolling 2 coats of premium grade Benjamin Moore exterior paint. Once all the sanding dust and loose paint chips are removed, we hand paint one layer of our oil-based primer. This material penetrates into the wood and becomes one with the grain. 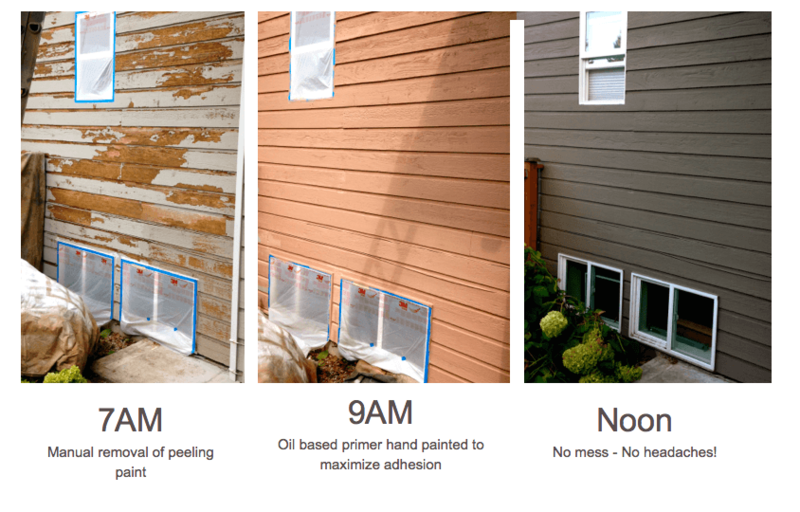 Primers also replenish all the essential oils back into the substrate; in other words, primer keeps the siding from decomposing and returning to nature! 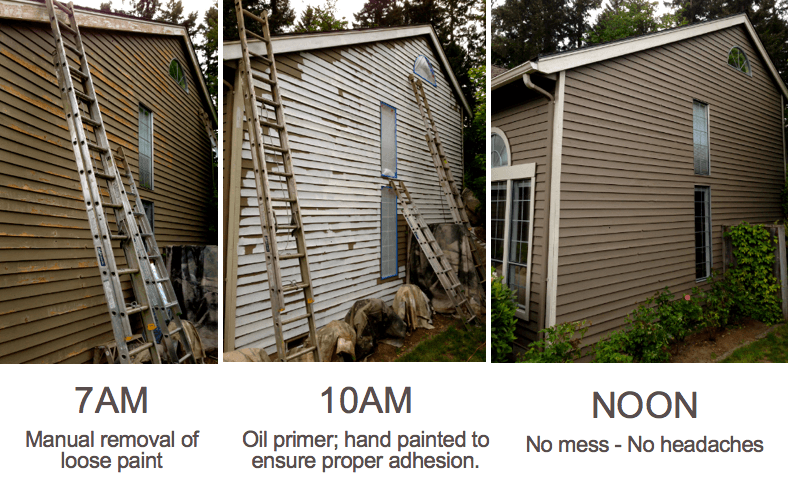 NOTE: If you choose to upgrade your paint to the self-priming “Duration ” product, primer is not applied. Duration has the ability to penetrate into the grain and bond directly with the grain without the use of primer. See pages 8 and 9 of your estimate for more information and direct links to manufacturer specifications. 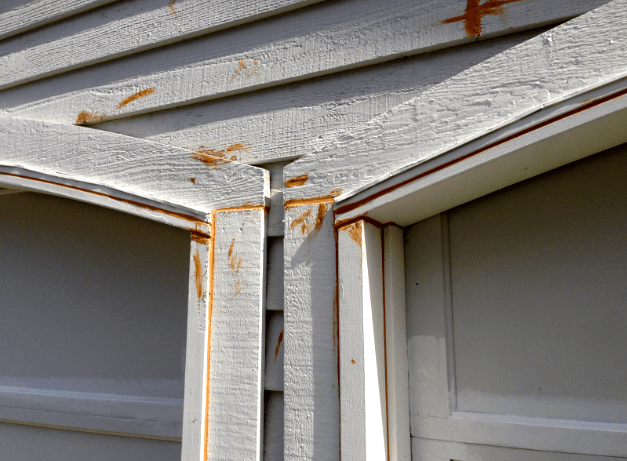 Essential in the damp Northwest, caulking is a task saved until the primer is fully dry. Similar to paint, caulking material adheres better to primer than it does to bare wood. we use premium grade caulking materials to fill any cracks, gaps, joints, nail holes etc. Once our special south-side treatment is complete, we apply two coats of Benjamin Moore paint, along with the rest of the house. We back-roll both coats to ensure proper adhesion, an even spread of paint, and to push out any air that is otherwise trapped in the grain.